A postcard, also called picture postcard, is a small, commercially printed card usually having a picture on one side and space for a short message on the other. It comes in a unique and colorful design. Postcards can be used in different ways. Some use it as a good marketing tool for business, while others use it in sending greetings or invitations. 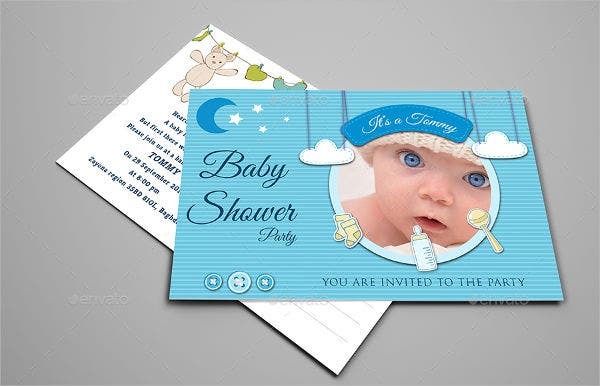 Since postcards can be used in so many ways, our gallery showcases awe-inspiring and cute baby shower postcard templates and card templates. 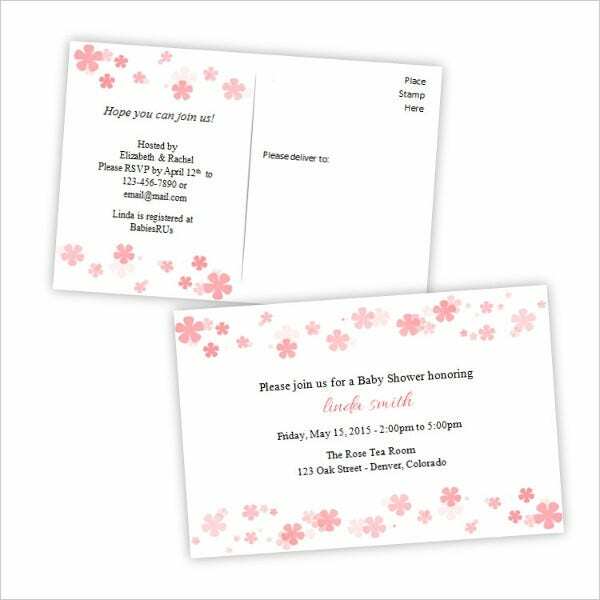 These are perfect for those who are planning to send baby shower invitations. You will surely love our selection of designs. A baby shower is one of those celebrations that needs proper planning and organizing, which should be prepared ahead of time. Choosing a theme, food preparation, souvenirs, and the guests to invite are just as important as the event itself. Apart from those, this is also an event that is so memorable, especially for those soon-to-be moms. It creates an important mark that remind women they are now in the motherhood stage, entering a big milestone in life. You might ask if this tradition is still necessary. Some women may say no, and others will decisively oppose. But a majority of moms still consider this tradition as important. Baby showers are an important part of the pregnancy experience in a sense that a woman is already in her motherhood stage. She will start to feel all those emotional and physical stress, plus the extra weight she is carrying is another depressing circumstance. Baby showers are important for the reason that they boost a pregnant woman’s moralistic value. They can make a woman feel valued and loved. They also offer a belief that all the sadness and agony will soon be over and will be replaced by the most heartwarming and joyful experience that is motherhood. 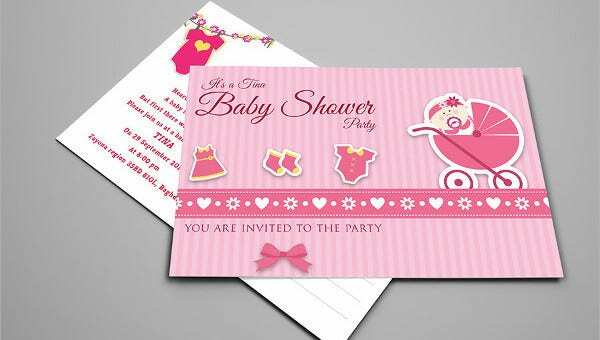 For more options, you may check out our website’s collection of more baby shower card templates. Throwing a baby shower does not need to be expensive and fancy. It should be fun and exciting. The most important thing is to make it memorable. 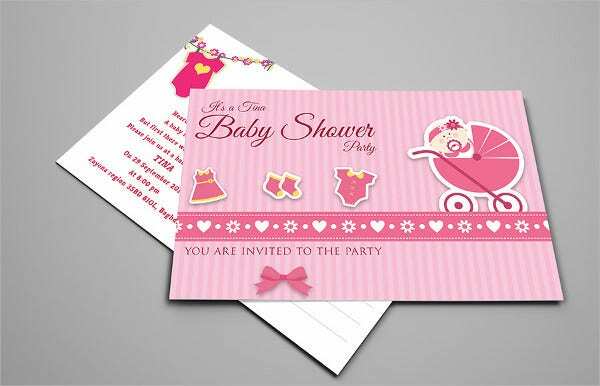 Now, one of the things needed for a baby shower celebration is an invitation. 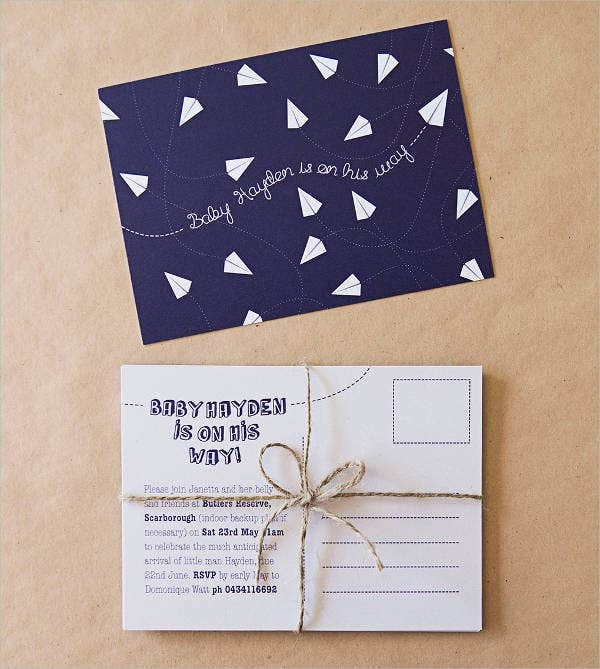 There are DIY styles that will help you create simple yet unique and beautiful invitations. Of course, we are here to lessen the amount of stress and hassle, so we’ve collated the best templates from all over the web and into our website’s collection. 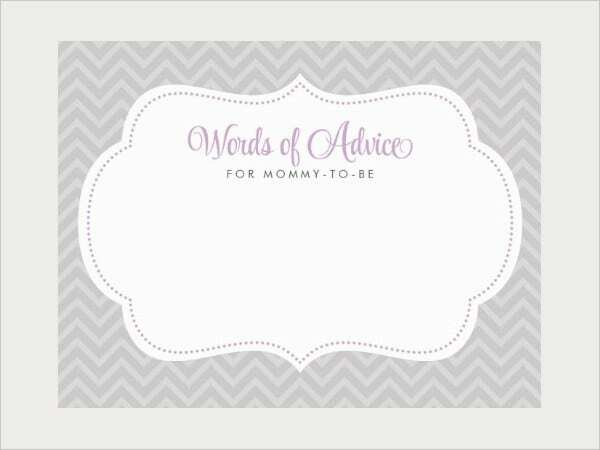 The postcard templates and baby shower card templates we have are perfect for your baby shower celebration, or any other celebration for that matter! These templates come in high-quality resolutions for a clear pattern layout. Each comes with its own distinct and charming design with pleasant colors. You can download them straight to your computer or laptop for free or licensed at a reasonable amount. Our templates come in PSD, Vector AI, or EPS formats so they could be edited to suit your preferences and needs. 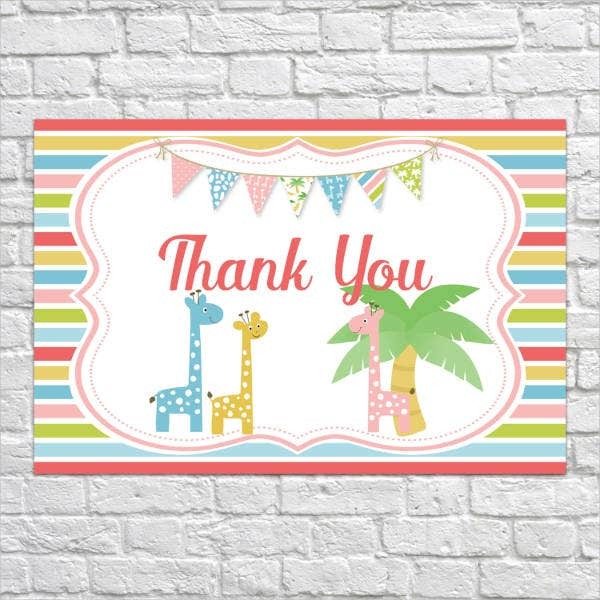 Not just that, these are also a great inspiration if you are looking for a new design for your baby room, a wallpaper for your online baby clothing store, and so much more. So go ahead and pick which ones you think suit you best. If you are designer yourself and want to design a postcard from scratch, check out our website’s gallery of blank postcard templates from which you could choose and download.